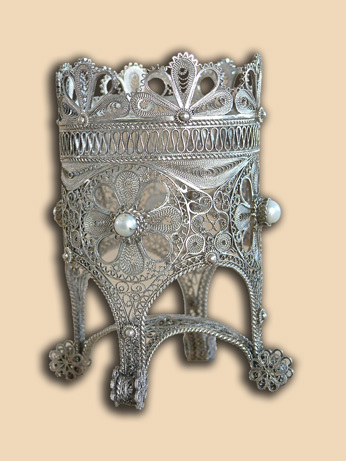 Table silver filigree vigil lamp with floral motives, standing on 4 supports and decorated with 4 pearls. Material: silver 950, natural pearls. 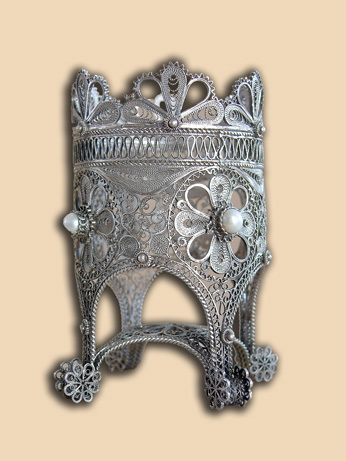 Technique: filigree, granulation, stone setting. Commissioned by: Diocese of Sumadia, Serbian Orthodox Church. 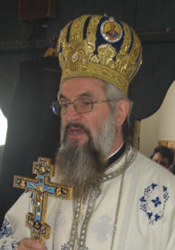 In possession of: His Grace Jovan, Bishop of Sumadia, Serbian Orthodox Church.